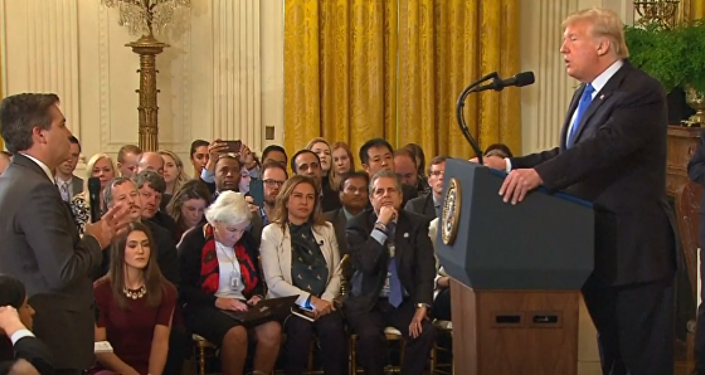 CNN correspondent Jim Acosta ended up having his press pass revoked by the White House after he refused to hand over a mic to an intern while asking a question to Trump during a press conference. "I don’t think he’s a smart person, but he’s got a loud voice, and as far as I’m concerned, I haven’t made that decision. But it could be others, also,” Trump said as quoted by The Daily Caller. “When you’re in the White House, this is a very sacred place to me. This is a very special place. You have to treat the White House with respect, you have to treat the presidency with respect." 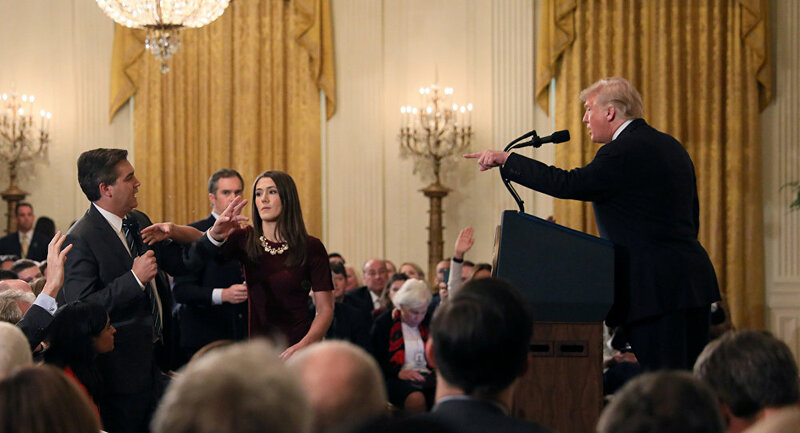 Acosta’s press pass was revoked after he had an exchange with Trump during a press conference on November 7 and refused to surrender his mic to an intern, blocking her with his arm. White House press secretary Sarah Sanders, who posted a video recording of this incident on Twitter, accused Acosta of “placing his hands” on the intern and described his conduct as "unacceptable". ​Acosta however denied that he acted inappropriately, while several media outlets, including Associated Press, claimed that the video shared by Sanders was doctored "to make Acosta look more aggressive." This development prompted Donald Trump to insist that the video was merely a close-up and "was not doctored." "Nobody manipulated it. All that is is a close-up," he said. Was Jim 'Acosta'ed' by a White House Intern or the Other Way Around?